From the moment you enter our elegant lobby with its grand staircase and are welcomed by our attentive staff, you will know you are someplace special. Our Lincoln hotel is located in the heart of downtown, its 300 luxurious rooms and suites within easy walking distance of the University of Nebraska campus, Memorial Stadium, the State Capitol, the Haymarket, and the new Pinnacle Bank Arena. Our venues are stunning for weddings and other social events as well. Enjoy outstanding on-site dining at The Miller Time Pub & Grill or The Cafe at The Cornhusker, take a dip in our heated indoor pool, and stay active in our fully-equipped fitness center. Located in the upscale Regency area of Omaha, offering the charm of a classic mountain lodge right in the heart of the city. 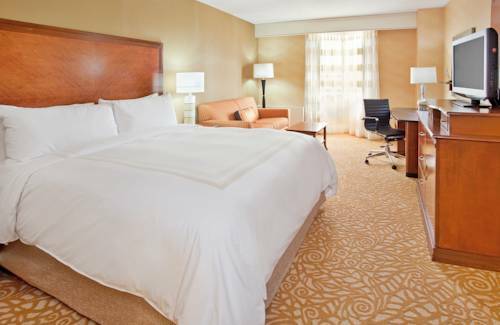 A unique hotel appealing to both business and leisure travelers with convenient location to office, parks, interstate, regional shopping centers and family entertainment.